This has been quite a month of training for Business Gateway, Highlands and Islands Enterprises (HIE) the CMI (Chartered Management Institute) and some one-to-one training too. More often than not, the audience is comprised of small business owners or employees in SMEs, but for a change a large portion of this past month’s audience was comprised of students. University undergrads and post graduate students who are looking to utilise Linkedin to get either jobs, internships or simply to start building their network. The student work for CMI is now complete and my time has been spent on other things – like traveling across Scotland to deliver some Digital Boost courses on behalf of NSDesign and HIE. First stop for those…Uist. Had the pleasure of spending time in Uist earlier this month. It was another wee flight up to return to Benbecula to deliver some Advanced Social Media training there. As ever, they were a good group of people with very mixed businesses. It was a pleasure to get to know them and hear more about their local businesses. I rented a car from Laings. They’re pretty “old school” with their booking system but that’s just sort of the island way. It can take a bit of getting used to. After my full day of training was over, it was great to have the hire car to get in to and be able to head south in the blistering sunshine! 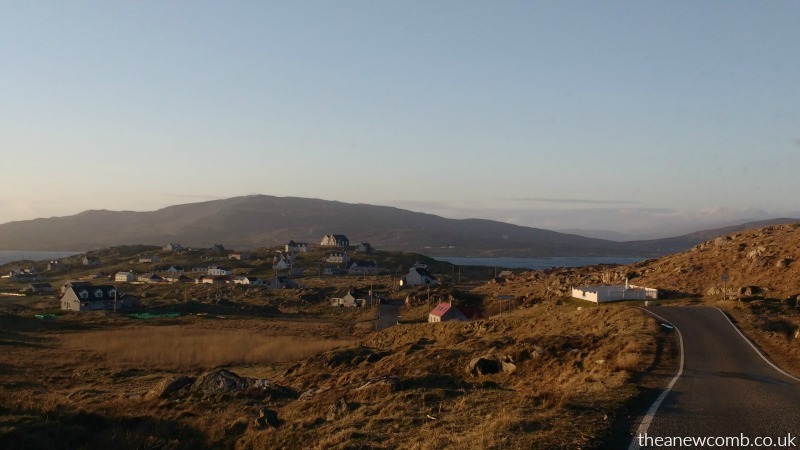 Headed all the way down to the bottom of the island to Eriskay – where you can get the ferry across to Barra. One of my delegates, a photographer there, did just that. Of course there are lots of places to stay when visiting Uist but when traveling to Benbecula, I stay at a B&B called 5 Nunton. 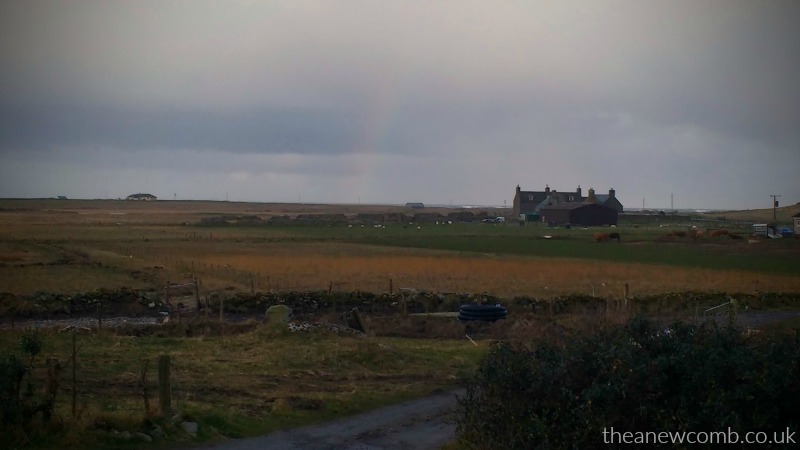 It’s not far from Benbecula airport – just a 10 minute drive max. Run by lovely Linda, it’s quaint, so lovely and silent. You can only hear cows mooing in the fields and the waves in the distance. Perfect for someone like me who needs to escape the hustle and bustle of the big city of Glasgow now and again. Thankfully in my line of work, I can. Here is my view one morning at breakfast…complete with a rainbow in the distance. Since the trip to Uist, during the first week of April, I also traveled to Campbeltown for a few days of training there. I’ll save that blog until next time. My next trip will be to Orkney which I am very much looking forward to!